If you would like to dedicate an iPad to control the music in a specific room, you can configure the iOS App so that it is essentially locked down to control the specific room. This can be a perfect solution for users that are overwhelmed by Apps, or if you want to mount an iPad on the wall (or tabletop mount) to control just that room. 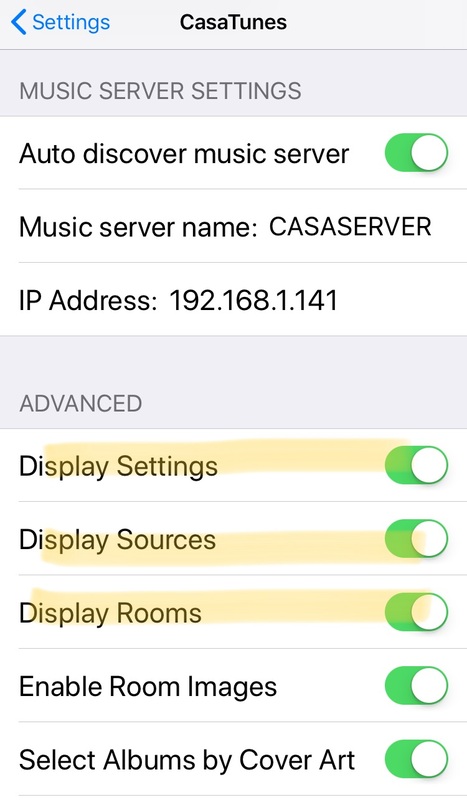 To lock down your iOS App, you need to configure the CasaTunes settings in the iOS Settings App.